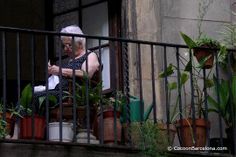 Even though its still pretty sunny in November – winter is slowly beginning in Barcelona. 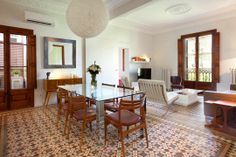 When the lights are getting darker and the temperatures are dropping down, there is nothing better than to come back to your accommodation after a long day of sight seeing and enjoy something sweet with a coffee or tea. 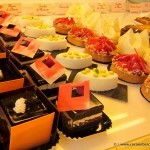 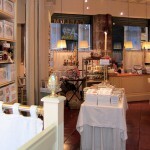 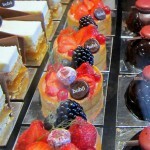 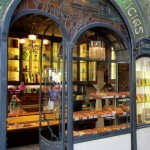 In Barcelona you will find some great pastry and chocolate shops with tradition and design. 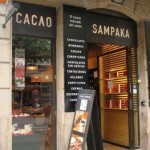 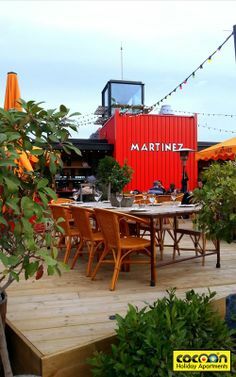 Not many people know about this, but chocolate has a long history in Barcelona, being the first harbour in Europe to receive ships with cacao beans from South America. 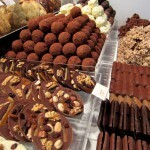 We would like to recommend you our favorite shops for the sweet tooth – to enjoy them yourself, or to find great gifts for friends and family back home. 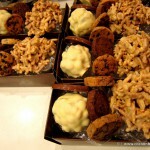 You better get the goodies wrapped up well, as it might be hard to resist and not to eat all the treats yourself on the journey back home! 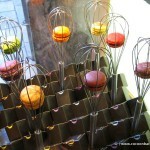 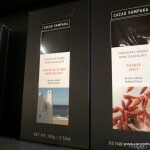 Spains best confectioner Carles Mampel creates the innovative delicacies at BUBÓ. 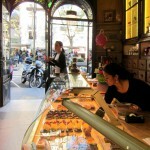 One of the specialities are the Macaron (traditional french pastry), which are hard to find in Barcelona and nowhere better than in this shop. 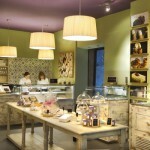 The famous chef Mey Hofmann, who runs the restaurant Hofmann (one Michelin star) and the Hotel and Cooking school, opened this adorable pastery shop. 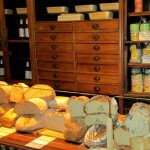 Everything is created to perfection and of the highest quality. 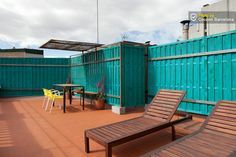 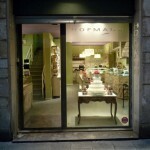 If you are staying in an apartment in the Born area, you should get your croissants for breakfast here – PASTELERIA HOFMANN won 2010 the award for the “best butter croissant in Spain”. 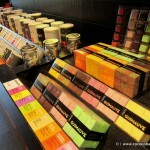 A family business since 150 years – but the packaging and product design is very fresh and young. 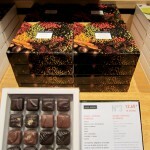 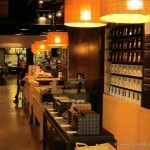 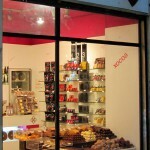 Two brothers own the company and are responsible for the stylish shops and delicious creations. 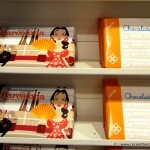 A favorite present: a Barcelona chocolate “postcard”. 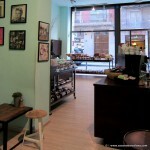 Following the success of XOCOA, the two brothers opened the DEMASIE shops, offering handmade cookies. 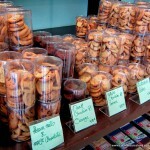 When stepping into this shop, the smell of fresh butter cookies fills the air. 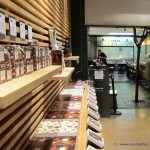 You can also enjoy the cookies right there in the back of the shop with a hot drink. 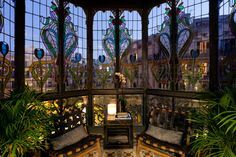 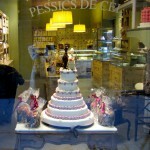 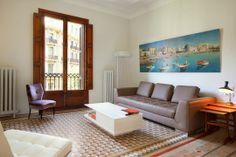 The pastry is located in a beautiful and often photographed building on the Ramblas. 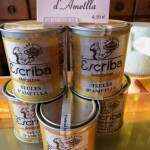 ESCRIBA is a very traditional pastry with a long history and also owns the ESCRIBA Xiringuito (see our article about the best Paella). 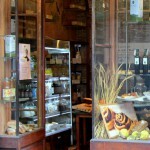 On the walls of the café in the shop, you will find photographs of some famous cake creations, for example for Ronaldinho. 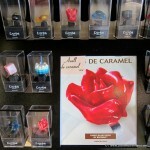 A rather kitsch, but popular present from this pastry is a ring made of candy. 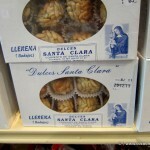 All cookies and sweets are artesanal products which are elaboratet according to old recipies in different spanish monestaries. 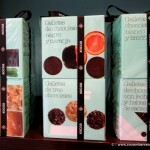 Try for example the cookies “Las alegrias” (The happieness) which are said to cure the liver. 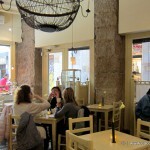 A part of the shop is a beautiful café – ideal to relax in the heart of the Gothic quarter after a shopping trip! 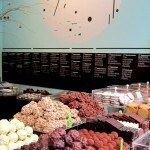 Simply chocolate heaven. 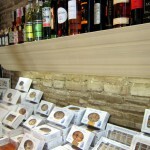 In this elegant shop you will find chocolate in all variatons and forms, but always using the finest and purest ingredients and without any artificial preservatives. 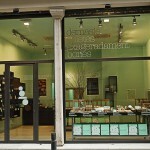 If you are into healthy living and organic food, this is your bakery in Barcelona, offering a wide range of organic bread and also pastry. 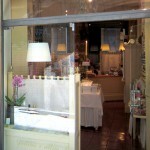 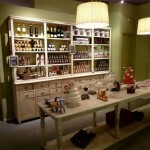 See our post about this great shop. 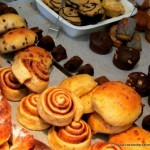 Don´t miss to try the cinnamon rolls or the brioche with chocolate – addictive!